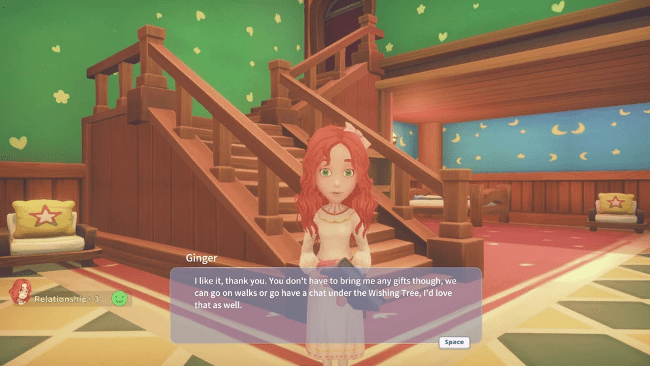 It’s Spring and love is in the air, or at least it would be if the NPC’s in My Time at Portia would just let me love them. Instead, they have thwarted every one of my romantic advances. Whether this is due to actual game mechanics or my own social ineptitude is still up for debate. When I first arrived in Portia I didn’t have time to waste on building relationships. I was far too focused on getting my workshop up and running so I could take my nemesis, Higgins down a notch. It wasn’t until nearly a year into my new life that I realized I could do with some companionship. The fact that having relationships with certain NPC’s grants bonus perks may have also had something to do with it. Building relationships in My Time at Portia works relatively the same as in real life. You decide to befriend someone and then hound them daily with gifts and impromptu games of rock, paper, scissors until they love you. At least, I think that’s how friendship works. The first choice for my new BFF was Antoine from the Commission Guild. Largely due to the fact that I already interacted with him regularly through work. His style was slightly more flamboyant than I’d prefer, but he was always polite when I turned in jobs. As a plus, his perk granted higher commission payouts. Surely, he and I could find a way to make this work. 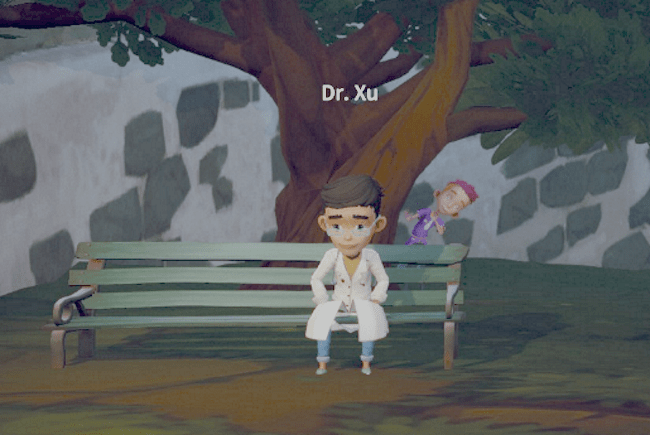 Come to find out he was already emotionally invested in the town’s only doctor, Dr. Xu. This complicated matters since they were two of the better employed bachelors around town. Is it so wrong to want someone who can pay their own way in the relationship? The next problem wasn’t immediately obvious. 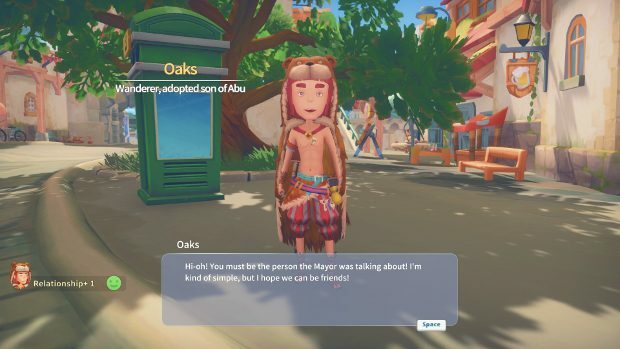 See I started playing My Time at Portia just before its early access release. Voice acting hadn’t been fully implemented yet. Just a few lines during specific scenes. Imagine my surprise when I logged in one day and suddenly everyone was talking to me in weirdly inconsistent accents. Once again, my list of potential love interests dwindled. At last I finally thought I’d found the perfect candidate. 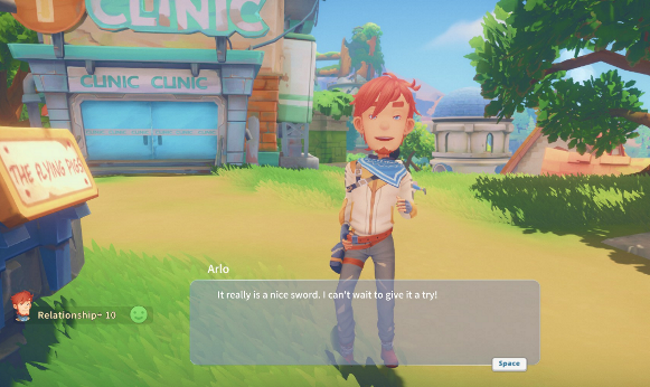 Arlo is the leader of the Civil Corps in Portia. In addition to being easy on the eyes and having a voice that doesn’t crack glass, his relationship perks increase your attack power. Basically, the perfect man. With my target acquired, I jumped into action. Everyday I lurked around the Civil Corps headquarters waiting to get Arlo alone. He had only two canned phrases to spout off. Despite this lack of conversation skills, I was determined to win him over. I brought him gifts and sparred with him nearly everyday. Still, it took forever for him to progress from a stranger to an associate. I knew all the time and effort would pay off after we finally got married. I just had to stick with it until he found me irresistible. Then I stumbled upon him meeting up with the other woman. Needless to say this felt like an utter betrayal. Hell, she didn’t even bother to bring him gifts and he still went out of his way to meet with her every night. Disgusted, I couldn’t even bring myself to give him his daily gift. Nora could have his stupid attack bonus. I’m sure it will really help her play the church piano every Sunday. On the way home I stopped to visit the Mayor’s daughter, Ginger. On a whim I offered her the gift I’d intended for Arlo. Maybe I’ve been going about this relationship thing all wrong. Perhaps, instead of finding the perfect bachelor I should be checking out all the promising bachelorettes. I suppose only an excessive amount of time (and gifts) will tell. My Time at Portia is our February 2018 Game of the Month. 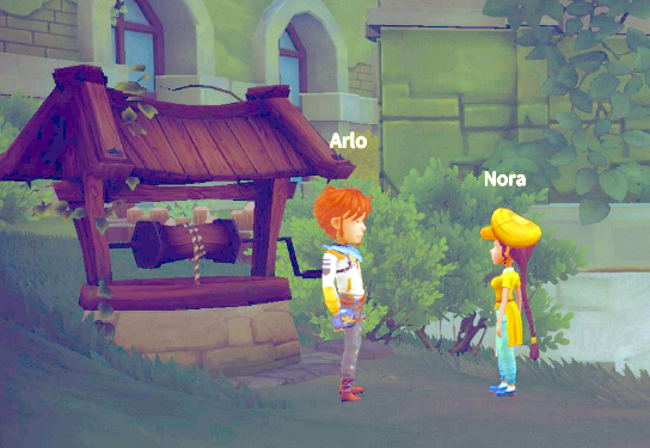 Be sure to check out the rest of our My Time at Portia coverage.